The $1.7 billion upgrade to 40km of road has been going since 2010 but is now nearing an end – likely by late December this year. The expressway work is no mere patch-up, project spokesperson Hudson Bawden says 49 of the scheduled 52 bridges are now complete. 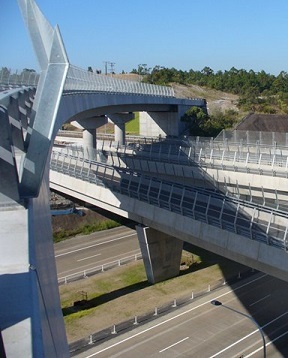 The project is not just bridges either: “there's 5.3 kilometres of noise walls along the project and about 85 per cent of those noise walls have been installed,” Mr Bawden said. Authorities just hope the good weather can hold out, and the project will be ready on time.